Back in 2012, I wrote an article on this blog about how I had made £1349, working just 4 hours, using eToro – a revolutionary new concept of social investing. And to this day, that article remains one of the most popular posts I’ve ever published on this blog! 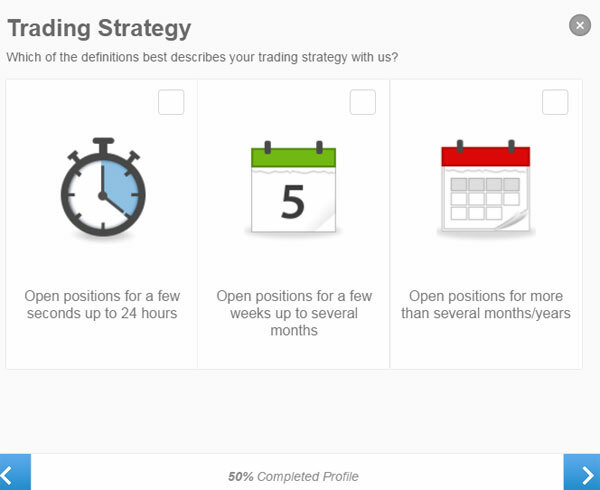 The first post explains what eToro is all about, and what I find so amazing about their Copy Trader feature. I also go over my general investment strategy and goals. The second article is an update I did in 2013 – here I reveal all that I discovered (both good and bad) after my first full year of using eToro. And as usual I don’t sugar-coat anything or try to hide my own mistakes – the opposite in fact! In this update I talk specifically about the mistakes I made and how you can avoid doing the same things. 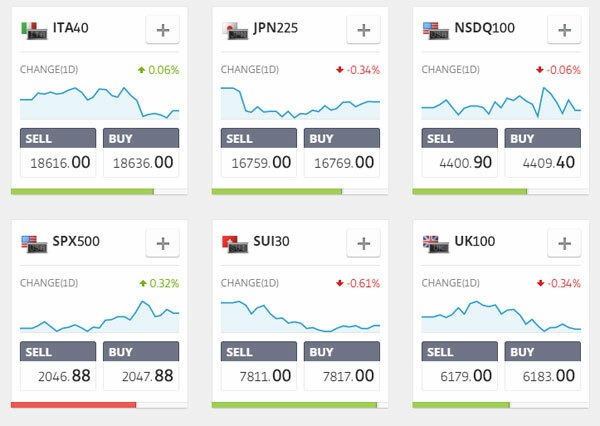 The third and final of my previous eToro updates covered all the changes to the layout and stats page – which is really the most important aspect of the site when using the Copy Trader function. So on to today’s post and update for 2016! I actually want to start off today’s update with a short guide on opening an eToro account, as it’s something that I’ve received a lot of questions about. 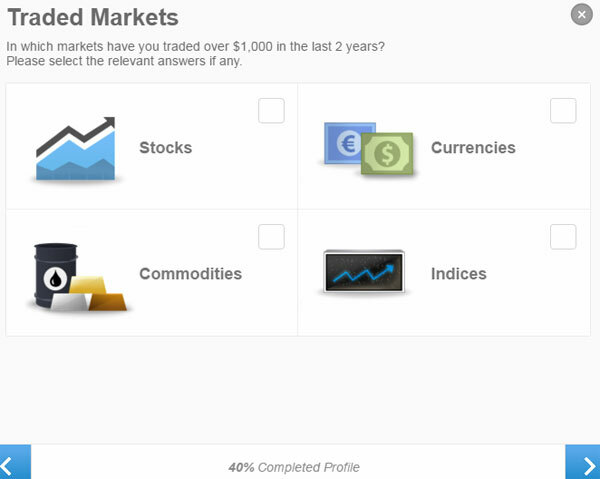 After that you’ll be able to log in, browse the site, and search for traders. 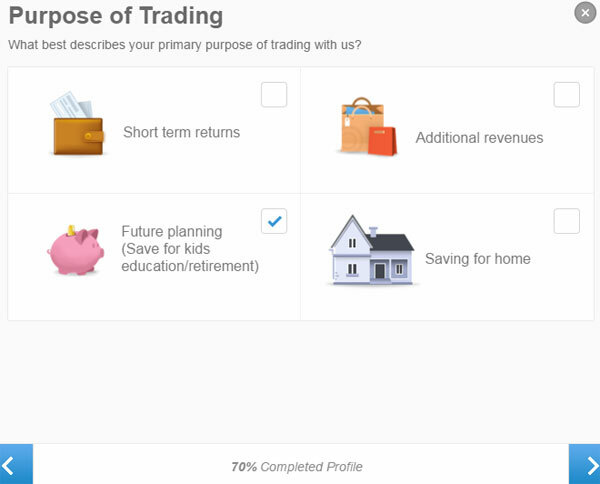 The “difficult part” comes when you want to actually start trading or copying another trader, as you’ll then be prompted to update your profile before you can proceed. As well as providing this information, you will also need to verify your account by sending a scanned copy of a government issued ID (i.e. your passport, driving license etc.) as well as confirming your phone number. 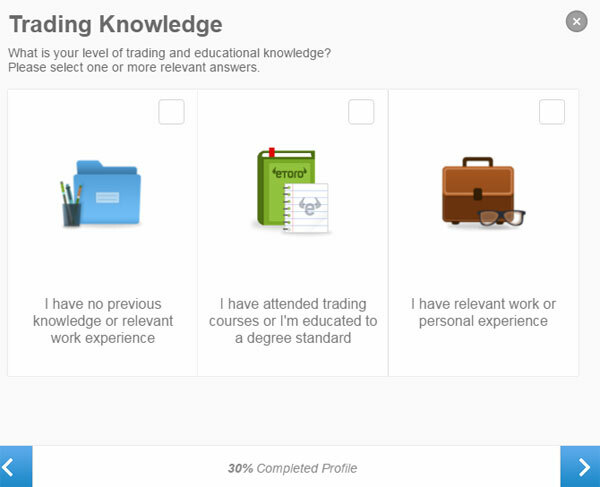 Before you start getting annoyed and angry at eToro and sending me messages asking why they want to know all of this – they are required to do so. 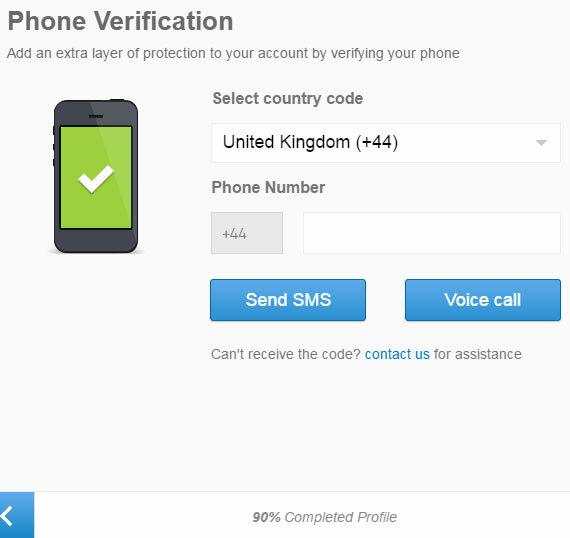 In order to comply with UK law, eToro have to get this information from you and that’s the only reason they ask for it. These exact rules will apply with any online broker or spread betting company (just take a look at IG Index or City Index for example) so it’s nothing specific to eToro. 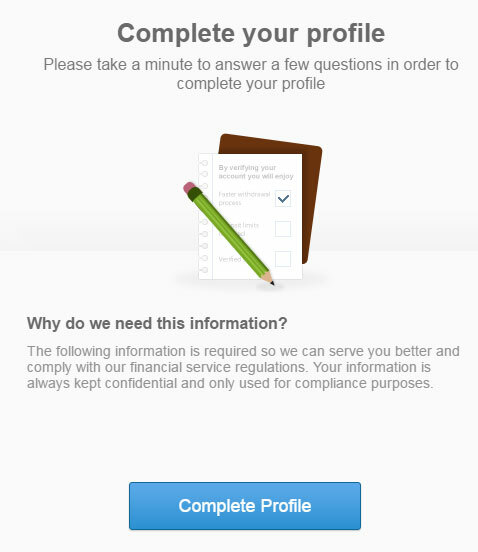 As the information is only used for verification and compliance, plus it’s all just basic personal information anyway, I don’t see any problem at all with providing this. 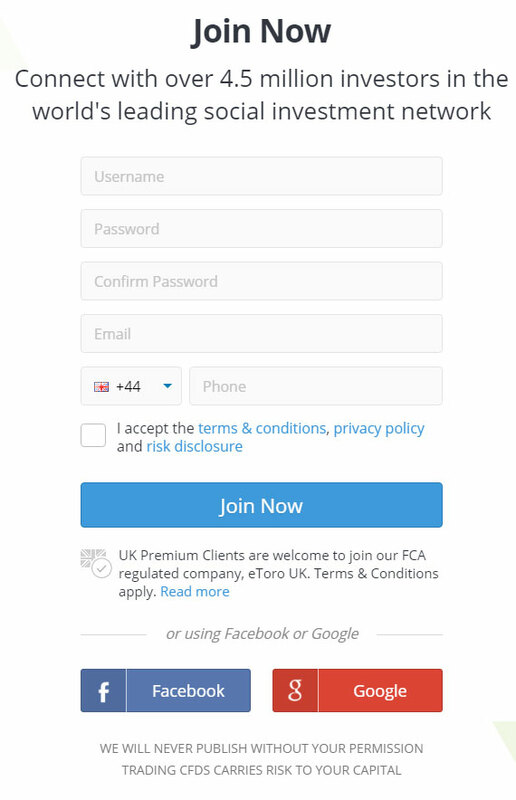 If however you feel that it’s a violation of your privacy (the exact wording in an email I received) then that’s completely fine and it’s your right to choose whether or not you complete your profile – as long as you accept the fact that you can’t use eToro if you don’t. As I said, for me and the vast majority of people out there, this verification isn’t even a consideration. I only mentioned it because it’s been the source of many questions previously. And while we’re on the subject of misinformation online, I wanted to also quickly cover deposits and withdrawals. *IMPORTANT* All eToro trading accounts are managed in US Dollars. You can still deposit using EUR, GBP, JPY, AUD or CAD but will then be charged a conversion fee. So the current rate for GBP to USD is 1.4191, which means that a £1,000 deposit should give me $1,419 in my account. However when you apply the 50 pip fee, the rate changes from 1.4191 to 1.4120 so I’ll actually receive $1,412. This equates to a conversion fee of just 0.05% and anyone who has sent money internationally using their bank will know that that’s very reasonable! 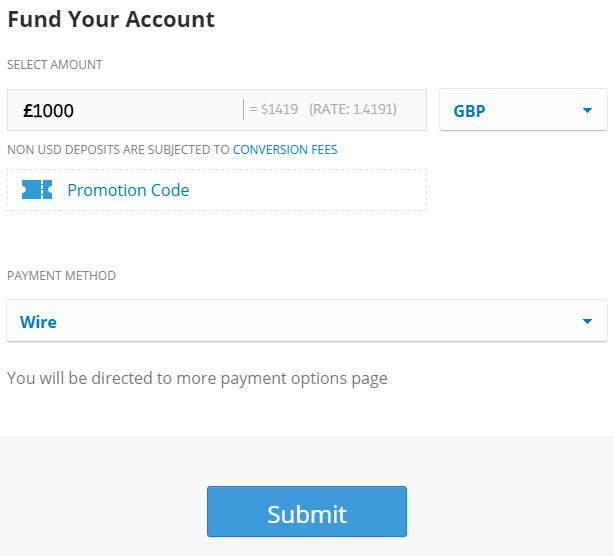 You do also have the option to use your bank or PayPal to convert GBP to USD for you, which means you’ll be depositing in US Dollars and won’t have to pay any conversion fee. Let’s take a look at PayPal and see how the fees would compare when using them. I enter a deposit amount of $1,412 (how much we got when using wire transfer) and choose PayPal for the payment method. However as you can see, using their exchange rate, this would cost me £1,028 – £28 more than if doing a bank transfer. So for deposits in pounds, I would suggest a normal bank transfer – for other currencies and amounts, PayPal may be better – you’ll have to do some quick calculations yourself when you’re going to make a deposit. When depositing, you only need to pay the conversion fee (if applicable), but for withdrawals there is an additional withdrawal fee that will be taken from your account balance and you do have to also pay the conversion fee again to get your money back into GBP. Sometimes it’ll be worthwhile to split your withdrawals in order to minimise the total fees you have to pay. For example, let’s say I want to withdraw $800 – if I do it in one go that would cost me $25, but if I split it into two $400 withdrawals, that will instead cost me $10 x 2 = $20. Not a big saving of course, but still something I wanted to point out. Generally speaking you should withdraw in as big a lots as you can (i.e. $1,000+ at a time, as that minimises the total amount you’re losing in fees, calculated as a percentage. Ideally you shouldn’t make many withdrawals at all, and should instead leave your money to compound (but more on that later!). Also, you have to withdraw to the same source that you used to fund your account. So if you deposited £2,000 via PayPal, you will have to withdraw your first £2,000 via PayPal as well. Once again this is in order to comply with UK money laundering laws, so it’s something that they have to follow very strictly. The last thing I want to cover, in terms of depositing and withdrawing money from eToro, is the horror stories you sometimes hear online – where “eToro refuses to give people their money”. To put it simply – this is complete and utter rubbish! Every single one of these stories (I have seen) are from people who have failed to verify their account because they’re doing something dodgy like using a fake address or name, or somebody else’s bank details. I’ve personally never had a single problem when withdrawing from eToro, and have never come across a genuine case from anyone else either! Now that we’ve covered setting up and verifying your account, as well as deposits and withdrawals, I want to talk about eToro itself, what attracted me to it in the first place, and why I believe they’ve pioneered the best way for amateurs such as me to make real money trading the financial markets online. Even though everything is covered in the 3 previous posts, I know that some of you won’t be bothered to go back and read through them, so I do want to quickly cover what eToro is and what sets it apart from the countless other trading sites out there. Basically, there are two main parts to eToro – the section to Trade Markets and the section to Copy People. Stocks – this just means buying shares in companies, such as Apple (AAPL), Google (GOOG), Johnson and Johnson (JNJ), Barclays (BARC) and many more. Indices – an index basically mirrors the general performance of a certain part of the stock market, rather than just one particular company. For example, if I invest in the FTSE 100, that tracks the overall performance of 100 companies, and so it’s a good way for me to manage risk and diversify (you can click here for a full list of the FTSE 100 companies). Commodities – commodities just means trading a resource, such as oil, gold etc. Currencies – forex or currency markets are the most actively traded financial markets in the world, with trillions of dollars bought and sold every day. Currencies are traded in pairs, i.e. 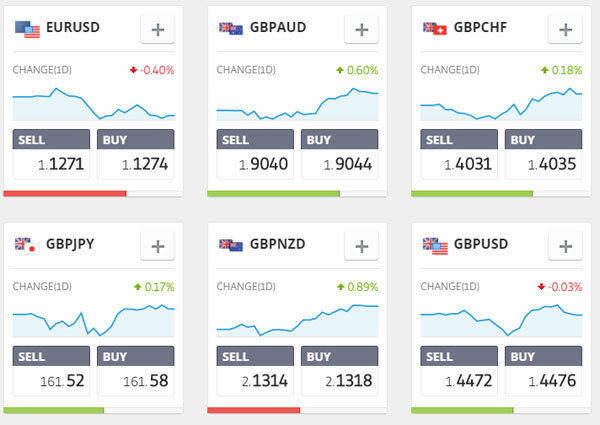 GBP to USD, and eToro offers a variety of pairings, including all the main markets. ETF – I left this one until the end as it is slightly more complicated than the other instruments that can be traded on eToro. An ETF (exchange traded fund) is basically an investment fund based on certain stocks and indexes. It’s another way to diversify your investment across a particular industry, without having to choose individual stocks. 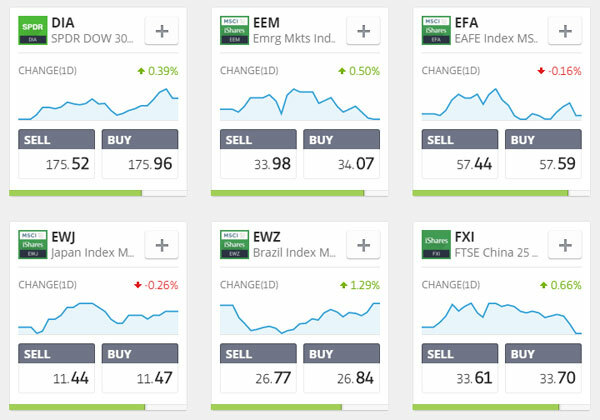 You can take a closer look at some of the ETFs available on eToro to get a better idea about this. BUT, as those of you who have read my previous posts will already know, I don’t actually recommend doing any trading yourself! The reason for this is simple – it is incredibly hard to consistently make money as a trader – forget what all those get rich quick schemes try to make you believe! You may make some money at first, but trust me when I tell you that you’ll lose what you made and then more very, very quickly. Unless you’re an expert and can dedicate a lot of time to it, I simply don’t recommend trying to make money on the financial markets – it’s just too risky. That’s a fair question and the answer lies in the other part of eToro, which is what we’re really interested in. If you click on Copy People from the main left hand side navigation menu, you’ll be taken to the real crown jewel of eToro, and the only thing that got me interested in it in the first place. 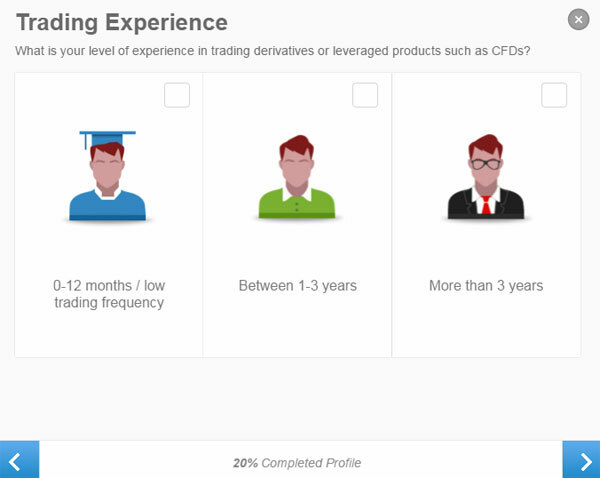 The copy trader/copy people function allows you to search through traders, and based on your preferences, such as performance, risk and other factors, copy their trades. And I’m not talking about some service where they send out a newsletter saying look out for trading opportunities on GBP – EUR next week, I mean automatically copying their exact trades, so if they buy Apple at 95, you buy Apple at 95. This means that your results (profit or loss) will be the exact same as the trader that you’re copying. 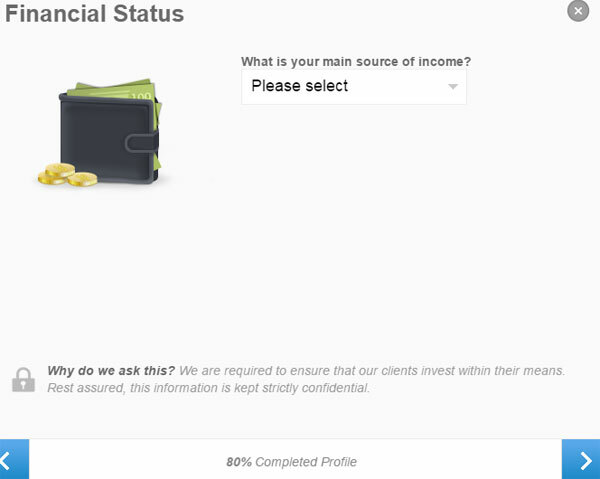 eToro have dubbed this “social investment” and my whole strategy with eToro is based around the copy trader function. I mean, why should I try to learn trading inside out and dedicate hours upon hours to it every week, when I can simply copy other traders with a proven track record of success? And so far my results have really shown that there is A LOT of potential in this “social investing” that eToro has pioneered. 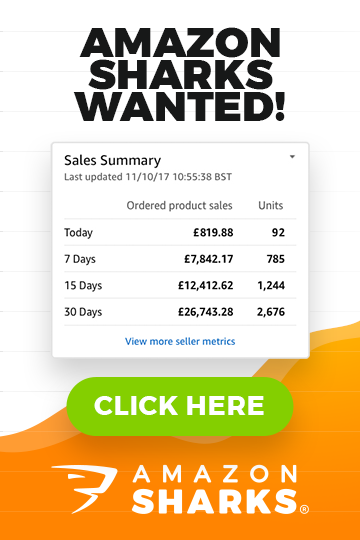 I started with a £10,000 investment, and it had doubled within 14 months. Since then I have averaged a return of 20% per year. 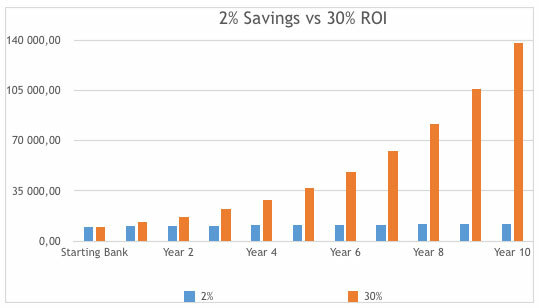 Now 20% a year may not seem like a huge amount, particularly when compared to my initial results, but it is actually considered an excellent return – especially when you take into account my low risk/long term value approach. In fact, let’s take a few different returns, ranging from 2% per year (roughly what I’d get from putting my money in the bank) to 30% per year and see what they look like year after year, if you don’t make any withdrawals. And there you go! 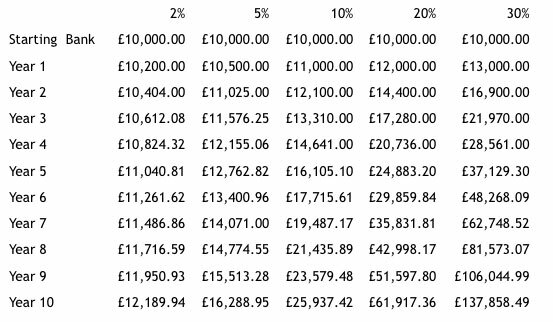 For anyone who doubted that 20% per year is an excellent return on investment – if you can maintain that rate for 10 years, a £10,000 starting bank will stand at £61,917! Compare that to the £12,000 that you would have if you’d left that money in the bank and I hope you’re starting to see why I am so excited about this opportunity. Of course it is not guaranteed at all that I’ll continue to make 20% a year. As they always warn, “past performance is not a guaranteed indication of future results”, and I could conceivably lose all of my investment. And that’s where risk management comes into play! This is why I have strict filters for the traders that I copy. I only want to invest my money in safe traders with a proven track record, even if that means slightly smaller gains. So that has brought us nicely to the most important part of this post, where I’ll go over my filters and reveal what I look for in a trader and how I split my investment between them. BUT, before that – I want to talk a little bit more about my personal investment strategy, as the filters I set are all tailored to help me achieve my goals. 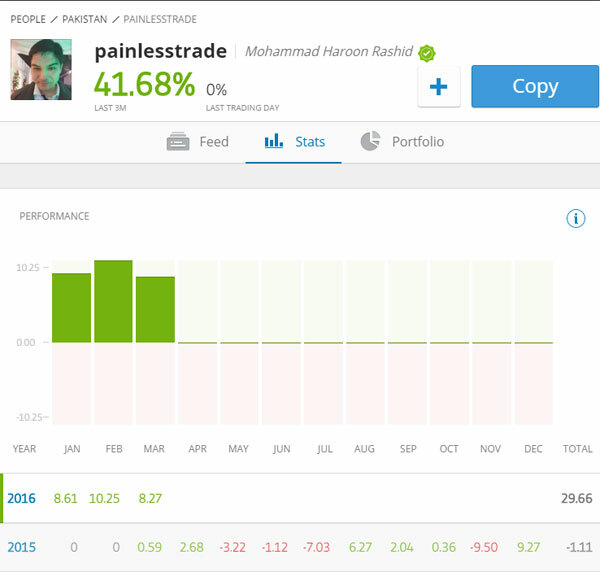 To sum it up – the overall idea/strategy of my eToro investment is low risk, safe returns. Of course risk and reward go hand in hand and I do severely limit my potential profit by opting for this low risk approach but I also severely limit my risk. I always try to look at things with a long term view, and not chase the quick money, as anyone who has purchased my courses will know! This same strategy has served me very well so far when it comes to online trading and it’s what I’ll continue with for the foreseeable future. So as you’ll see when we go through my filters – I mainly look for low risk traders who have a solid and consistent track record – as they’re the ones who fit perfectly with my investment strategy. 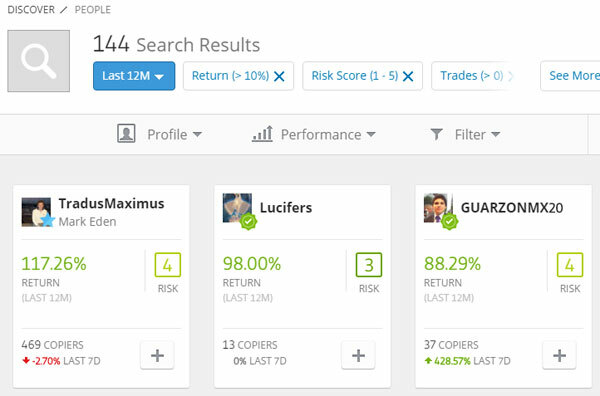 When you first click on Copy People, you are taken to a page which lists the Top Investors, Trending investors, Most Copied, Lower Risk Score, and Medium Risk Score. 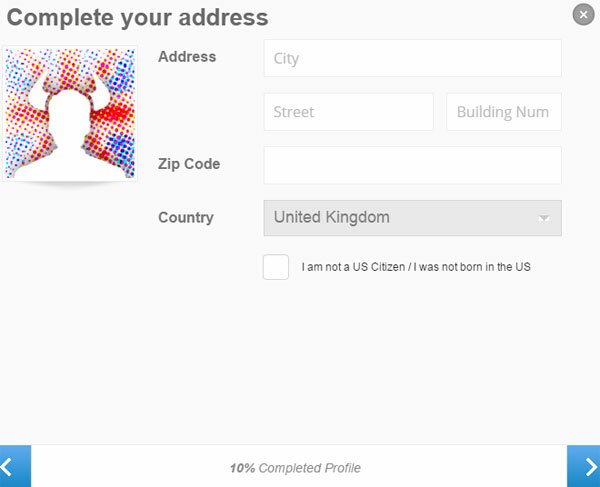 Where your investor is from – personally I don’t really see the point to this, as one of the beauties of online trading is that it really doesn’t matter where you live, as there are always some markets open for you to trade. What they invest in – i.e. currencies, commodities, stocks, ETF, indices. Over what period – which ranges from the last month to the last 2 years. However, I really recommend using the Advanced Search filters and setting filters for all of the stats provided. This way you will ensure you remain consistent when choosing traders to follow and can customise your search to suit your personal investment goals. I think this is actually a very important point to make – the filters you use will depend on what you’re trying to achieve. I personally have a conservative outlook – I’m not looking to win an overnight jackpot here, merely to consistently grow my starting bank at a faster rate than what I’d get in a savings account. This means that I stick to low risk traders with a proven track record. Generally speaking higher risk means higher potential reward, but also higher potential losses. So please don’t think that you have to use my filters! It may be that you’re only investing a little bit and therefore want to be slightly more risky in your copying – that’s perfectly fine, as long as you still have set filters in place! Otherwise you haven’t set any rules for the traders you’re copying and there won’t be any consistency in your results. Okay, after that warning and without any further ado, let’s go through the filters one by one. This is obviously where you set the time period for the results to be based on. For me the longer the better, so I would recommend going with the max of last 2 years, or at the very least the last 12 months. Here you can select whether or not to show results from unverified traders and also to only show results from Popular Investors. I would simply select verified and leave it at that. As I mentioned above, I don’t really see any need/benefit to filtering what country the traders are from, so I leave this on Everywhere. This is another fairly unimportant filter. I am more interested in results than whether or not the trader has uploaded a profile picture. Of course it adds a bit of confidence when a full name is publicly viewable but it’s not going to have any effect on your return, at the end of the day. We’re now on to the Social filters, the first of which is the no. of copiers a trader has. You can use the pre-sets low (5-100), medium (100-500), or high (over 500). While it can be useful to see how many people are copying a particular trader, as it obviously gives an indication of their profitability, I wouldn’t say it’s necessary to filter based on this. This filter shows the change in copiers over the last 7 days, expressed as a percentage. I think 7 days is too short a time to make any meaningful judgement from the data, so I will leave this blank. Copy AUM is actually quite an interesting filter, and I think it’s more indicative than the overall amount of copiers, as it tells you how much money is currently allocated to copying this trader. Higher amounts will obviously give you more confidence that this trader knows what he/she is doing. We’ve now reached the most important filters – performance. The first one is return, where you set the minimum and maximum returns that traders have achieved. My personal goal is to make 10%-30% a year from this, as anything less than that and it’s just not worth the extra time and hassle. So I set my minimum at 10% if I’m searching for the past 12 months, or 21% if I’m searching the last 2 years. I don’t bother with a maximum. This is another indicator that I place a lot of importance on. Trading is difficult, and even the world’s best traders will have losing weeks and months, so it’s not reasonable to want someone to have made money every single month of the year. But at the same time, I am looking for consistent, low risk traders – not someone who makes 1000% in March, but then goes on a 10 month losing streak. Really I don’t want to copy anyone who has losing months more often that winning months, so I’ll set this at 55% as a minimum. Profitable Trades simply tells you what percentage of a person’s trades end in profit. Now initially this may seem like an extremely important indicator – after all, the more profitable trades the more profit, right? Well, not exactly… from my experience copying traders, this can actually be a little bit misleading as it only tells you whether or not the trade made money, but not how much money! For example, let’s say there is this one trader who looks for big currency changes and doesn’t take profit until the trade has made at least 100%. But he also has a very strict stop loss, and exits a trade as soon as it’s at a loss of 10%. That means that one profitable trade would cover 10 losing trades. This trader might lose 50% of his trades and still make a lot of profit overall! That’s why I don’t consider Profitable Trades to be the most reliable indicator, and instead prefer to use Profitable Months, as that gives a clearer picture of a trader’s real performance. The Risk Score is a number assigned to a trader, from 1-10, that shows how risky a trader is. 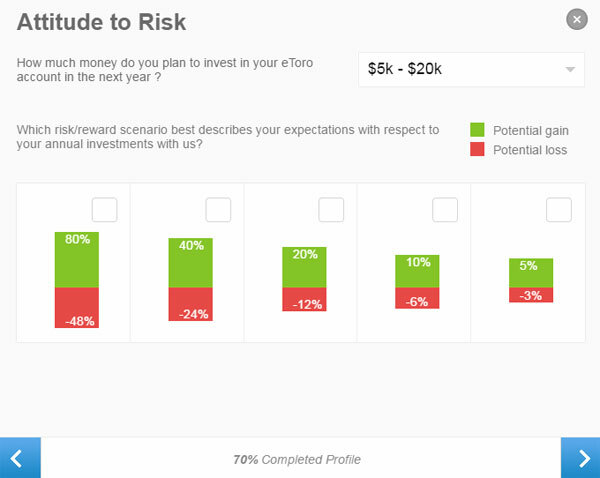 eToro use the industry standard VaR (Value at Risk) to calculate a trader’s risk score and while you certainly don’t need to understand how it’s calculated, you should know what it means. In my case I filter for traders with a risk score of 5 or less. Drawdown basically means the maximum amount of a trader’s overall bank that was lost over the given time period. So a daily drawdown of 6% means the most the trader even lost in one single day was 6%. This is another very important filter for me, as a high daily drawdown shows the trader is erratic and there can be huge variance in the value of their portfolio. That’s why I set this to 10% at a max. This is the exact same thing as above, except it’s calculated on a weekly basis, rather than daily. There will of course naturally be more variance over longer periods of time, so for the weekly drawdown I set a max of 15%. Here you can filter for traders based on how much of their portfolio they have allocated to the 5 financial markets we covered earlier – currencies, commodities, indices, stocks, and ETFs. And there is also a 6th one here – people. This is how much money a trader has copying other traders and I set this particular filter to a maximum of 0%. Simply put, I am interested in copying traders, not other copiers! Other than that I leave the rest of the allocation filters blank. The average trade size filter tells me how much a trader risks, on average, on a single trade. This ties in well with the drawdown stats and the lower the value here, the less erratic the trader’s results will be. However once again this does depend on their trading style, as for someone investing in stocks over the long term, 10% allocation would be fine… but for a currency or commodity day trader, I would be very worried if they were putting 10% of their bank on a single trade! So I’ll set the average trade size to a max of 10%, but as with all filters I’ll look into it more when I’m reviewing specific traders who pass the initial search phase. 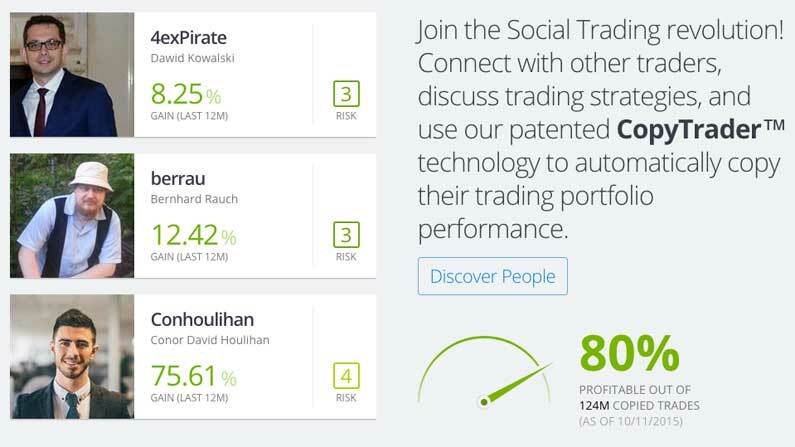 Exposure basically refers to how much of their bank a trader has invested in open trades. I used to filter based on this, but have recently decided not to… because a smart trader might technically have a lot of their money in open trades, but that doesn’t necessarily mean it is at risk. After all, they could be hedging their positions, using strict stop losses etc. So I leave this blank. Active weeks, as the name suggests, is a filter for the number of weeks that a person is actively trading. I generally prefer this to be high, as it indicates that the person is trading full-time, and is keeping up to date with everything. I don’t want someone who just does this as a hobby for one or two hours every now and then! Lastly, we have a filter for the number of trades entered. I don’t really have any preference here as it depends completely on their particular investment style, so I’ll leave it blank. And there you go – a full set of advanced filters filled in and you’re ready to search! And that is how I search for traders to copy on eToro! All that’s left for me to do is go through them one by one and take a closer look at their stats. You can do this easily just by clicking on a trader. Often I will loosen my requirements and be a bit more aggressive with my initial search filters so that I get more results, but then I will go over those results manually in more detail. I personally prefer to have at least 10 traders in my “portfolio” (as for me, traders are the commodity!) with my balance spread evenly between them, as this diversifies my risk in case one of them has an unexpected result. You can copy up to 20 traders at any one time, so if you find 20 good ones, then copy them all! For me it’s a little bit hard to always have twenty traders who I am happy to follow, so it varies a little bit. Also bear in mind that the minimum you can invest in a trader is $100. So if your bank if $500, you will only be able to copy a max of 5 traders etc. etc. In order to fully utilise the 20 trader max, you would need a bank of at least $2,000. When To “Fire” A Trader? This is one of the main questions that I get asked by my readers – at what point should you get rid of one of the traders you’re following? And the honest answer is that there is no set rule here! It really does depend on the individual trader and situation, and you’re the only one who can properly evaluate that. Let’s say I’ve been following a trader for more than 12 months, making a good profit overall, before he hits two months of loses in a row. Does that mean I have to cut him straight away? No of course not, as those two months may just be a blip. However I will keep a very close eye on that particular trader and if I see the poor results continue, I’ll have to cut him. The best advice I can give here, based on my experience copying traders on eToro, is that you can’t be too trigger happy (after all, there are always ups and downs in trading) but at the same time, there’s no such thing as loyalty! If I think that a trader isn’t going to be profitable for me any longer, then I won’t hesitate to stop copying them and find a new trader to follow instead. Knowing when to stop copying traders is actually one of the hardest aspects of successful social investing, and it’s really only something that you learn with time. Also, you have to be following your traders properly in order to make sound decisions. I personally allocate an hour each week to analyse my existing traders and search for some new hidden gems. Anything less than that and I just don’t think you’d be able to properly assess the situation. I’ll make this conclusion fairly quick, as I’ve already touched on my overall thoughts throughout this post. Back when I first discovered eToro and their revolutionary new Copy Trader idea, I was hugely excited at the potential and this was only increased further when I made £1349 in one month. And while I didn’t quite manage to maintain that amazing level of return, I am more realistic now and know that 100% profit in a year is simply unheard of! Going forward, I am sticking to a more reasonable target of 20-30%, and as we saw earlier in the comparison table, in ten years or so that 20% can really add up to something big – especially when compared to the measly 2% I would receive from my bank as interest. However, I think it’s very important to point out that I don’t view this as a full-time income and would never invest all of my money in eToro/social investing. To me this isn’t about making a huge amount of money, but instead about protecting my savings and building something slowly. That’s why I invest my money in various instruments, in order to try and maximise my gain while reducing my risk through diversification. And last but not least to finish today’s long post – please remember that I have only given my filters as a guide. It is up to you to set your own search parameters based on your goals and investment level. I hope that all of my long time blog readers have enjoyed this update (it is requested so often that I think I’ll have to do one every year!) and I hope that this has given you some ideas and hopefully the confidence to try eToro for yourself. As always, if you have any questions or comments then I’d love to hear them so please post below and I’ll personally reply to you within 24 hours. If there’s a lot of interest, I could possibly even start a series on where to invest your business profits… this could cover opportunities similar to eToro, such as peer to peer lending, property investment, crowdfunding, etc. P.S. When you sign up to eToro via my referral link, I do get paid a referral fee. But in no way that affects my review and thoughts about eToro in this article. Those trades would only be copied up to maximum allowance you have set – which is £100. So basically you can’t lose more money on a trader than you have set to/allocated to when you copy the trader. Hi. I’ve always wanted to try forex and online trading, but frightened not to be ripped off. Not to mention the fees. eToro looks like a good place to start. Wonder if I can deposit thru a debit card and want to withdraw to a Paypal? Don’t sure my debit card is able to receive funds. See they have alternative withdraw method, but would like to know other people experience on this. Hmm, I don’t think that is possible as withdrawals need to be done to same payment method you made deposit with. To keep things simple, use bank account option – especially if you don’t have a credit card. It’s cheaper to use bank transfer anyways! 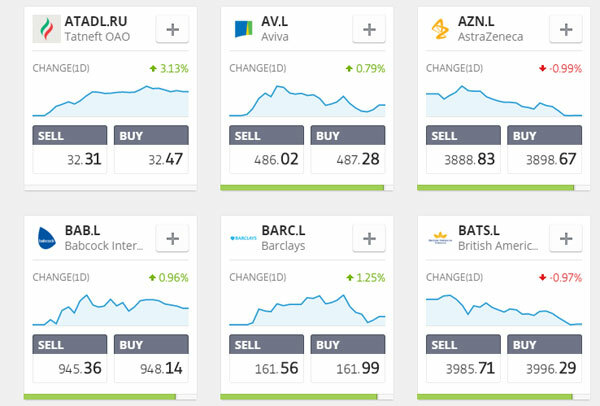 Hi Andrew, I finally tried eToro and I am doing pretty good for now. Invested 12K USD a week ago and already 600+ on profit. Mostly from copying traders and some crypto. I have one question that I am not sure about. If I now have some taders that I like, do I just leave them like this for a long time, or I have to get the profits and change them from time to time? Some of them are doing really good and some not so much. Is it a good idea to swith some capital between them? Stop copying the low % ones and relocate to the higher ones? Thank you for all the good advises. I am reading your blog a lot! Yes, of course – you will want to do that all the time – switch traders you copy – stay with good ones and replace bad ones. BUT please do not base any decisions on short periods of time like a week or two. There will be always ups and downs with any trader, you have to look at long term results. You need to check trader’s past performance and evaluate their record so far to see how they perform on a year to year basis. Hi, this is great stuff, i am very new to this and a little confused as how to get my Profit to the withdrawal pot, I have over $1000 invested and only £120 is copying someone. So for example (and i have just started) i have about $4o profit in BTC and $150 available funds. If my profit in BTC gets to say $100, how do i get the profit out so it can be withdrawn. If you want to withdraw money, you need to make it available to your balance. This means un-copying a trader or closing some trades manually. That’s why usually withdraw money when I’m naturally stopping copying a trader. A really good article! Very useful ! Thanks a lot ! One question. Once I decide to copy a trader, should I also copy all the open trade ? I have a only question that may be stupid but i still don’t get how it works and it’s very important for me. When i started watching some videos of etoro, they talked about “the old webtrader”, but this is something is over. There I watched like you could see at any moment the operations that were closed in green how they were added to your BANK, like to your pocket. In the current platform, i never see that… My question is, i have to close manualy the trades of my traders to get the profit? Because i see how my traders ara in green or not, but i never get this profits. I have to cut copying the trader or what? Hope i made me undestand. No, you don’t have to do manually anything! Same trades traders will do, will be copied to your account. If the trade is green, but still open/active, it just means that trader is holding that position as you don’t close a trade every time it goes into green! Nice article. I just started 1 month ago my copy trading and I am actually on profit of 7% in 1 months (which is really great !). I copy 16 traders who are, in my opinion profitable in long term. But the average %profit/year is about 100%. If i follow your article, for you it’s just non profitable on long term ? You think that traders like jaynemesis for example are too risky ? I have been having a mess with the virtual account and have invested $10000 a piece into 10 traders. I notice that not all of the $10000 is being used with by the traders (in fact very little of it) so therefore is that $10000 figure the maximum amount they can use on my behalf? You must of tweaked your strategy over the years to a tee. Any tips? Whole amount will never be used Tony. No trader will invest ALL bank into trades. That’s how it works. More conservative traders will use just 10% or 20% of the bank while more aggressive will have higher number. I would just like to clarify that etoro are either a financial book maker trading one person off against another and making there money on the spread or do they execute trades on live exchanges ? If everybody was to follow your advice and invest in copy trading low-medium risk, everybody would take etoro to the cleaners right? I assume there are numerous amounts of etoro customers who are the gamblers who are balancing this business model on the opposite side of the trade? 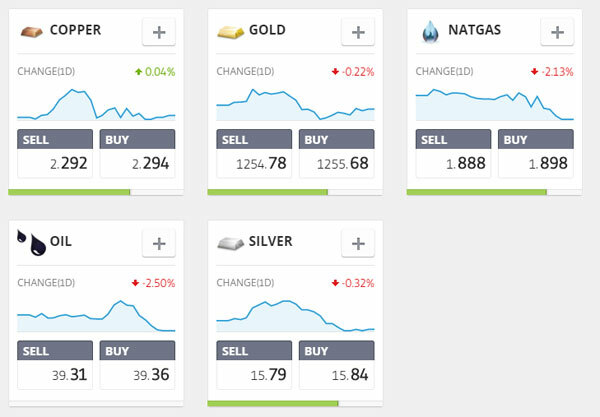 eToro does not take any risks here – they’re making money from the spread. I have obviously read your blogs and you have turned your initial into a tidy sum over the years. This amount you now have accumulated has to of been taken from persons who’s trades didn’t go so well. That is obviously how the markets work! But I cant comprehend that with this being a closed market within etoro and not on the open exchanges, with this copy trader facility that etoro provides, Id assume that the majority of clients should be in profit using this facility and therefore etoro itself would not have a balanced profit/loss clientele. Yes, I understand what you mean by that. I think the liquidity is so big on these platforms that they don’t have problems “matching bets”. There are not that many instruments available there and probably they do offset trades on outside markets too. I don’t really know all the ins and outs on how they operate. I understand. I will most definatetly be sticking to low risk copy trading for long term as per your blog. Hi Andrew, I think in an earlier post you mentioned it was possible to buy stock for a minimum of $10. Is this still possible and how would I do this? I can’t seem to see on the website where this option is, everywhere that I click buy it takes me to the buying/selling page with stop loss/take profit/leverage etc. Thank you! On the left side click on – Trade Markets. Then from top menu select – Stocks. Buying/Selling page – that is the page where you invest in that stock. Thanks for the wonderful advise you gave on this blog about etoro. I recently signed up but I’m currently using the virtual trade feature since I want to familiarize on the copy people feature and see what will be the result. I have one question, in case something happens to the person who invested his/ her money in etoro and a family member will claim his earnings, would that be possible? What do the family member need to present or submit to be able to claim or withdraw the earnings? Hope you can help me with this concern. Thank you and more power! You may want to contact eToro and ask them what happens in such situation. Thank you Andrew. All the best this year and onwards. Looking forward to more of your blogs and advise about investing in eToro. Hi Andrew, really good read! Learned a lot from your articles. 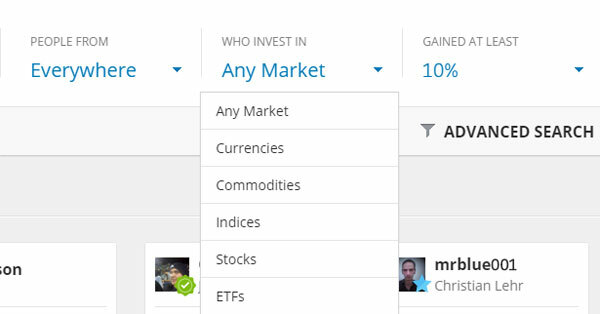 What do you think about the newest addition in eToro “CopyFunds”? Do you think those are worth investing or is it less effective to gain the 20-30% profit? Very detailed and informative post, thanks. Have you ever traded cryptocurrency on etoro. It will be great to hear your take on cryptocurrencies trading like bitcoin, etherum, litecoin etc. No, I haven’t traded on single cryptocurrencies like these. I also liked the safe&cautious approach that you use. I noticed this post is dated March 2016. Any plans to update it for all 2016? Did any of your investment, “guru” spotting strategies changed during second half og 2016? Yes, I will have a new 2016 results post published in few weeks time, so stay tuned for that! Great post, and thanx for the info.. If i invest for example 100$ with a trader who has a max drawdown of 20% in a mth. Is that then a loss of 20$ of my investment and no more. I have been reading a lot on your site over the last month or so. I am going to give eToro a shot as an investment and also looking to start up some kind of ebay/online business. Your site is really good and informative so thanks for sharing your knowledge and experience. 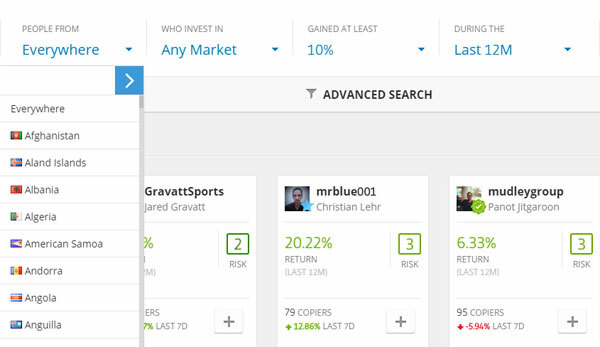 I am currently searching for some suitable low risk traders to follow on eToro. I have potentially found a couple. My plan is to deposit £500 initially, see how I get on for 3-6 months and then I may add another £100 a month to bring the investment up to £1000, distributed equally amongst traders (5 traders followed initially increasing to 10). My question is that I went on one traders profile and he has only been trading for approx 12 months but has no red months at all and a risk score of 2…seems to meet most of the criteria. I noticed on his profile he has commented that the “minimum copy is $200”. I know from your article the minimum you can invest in a trader is $100, I just wondered if the trader could decline me as a copier if I only invested $100 into him? Thanks for your response on this. No, I don’t think they can deny you copying, no. The $200 – that is probably recommended minimum to copy the trader – info provided by the trader. But you should be able to copy with just $100 too as that’s the minimum copy amount as per eToro rules. Thanks Andrew, you were correct on that by the way. I have noticed I cannot copy some traders with say $100 but I believe this is due to their trades/value (i.e. the average trade value falls below $1.00 so it doesn’t let you copy). I wondered how much notice you take of the profit/loss on your portfolio. Looking at mine currently for example it states -$3.39 in red. However my equity has increased to £593 (pounds)…this is not all profit as I got the $100 bonus for joining, which you cannot simply then withdraw. So my equity has increased, assuming because of closed trades in the green. But as you know open trades often start in red which shows you at a loss in the profit column. Seems a bit misleading and I recall reading an article on etoro that they changed this in around 2015 (previously they only accounted for closed trades). I am going to slowly increase my stakes. Only the other day I got a letter from the bank reducing the interest rate on my children’s accounts to just 2%. I am getting ready for my first Etoro investment/trial/copy in about a week. I am trying to read as much as I can before I make my final decisions. I have no questions and only wanted to take time to say thank you for sharing all you have learned. It is truly much appreciated. I will probably do a separate post on this in near future to explain the issue in detail. thanks andrew, one of the most clear and well written to the point explanations of how to start in etorro! 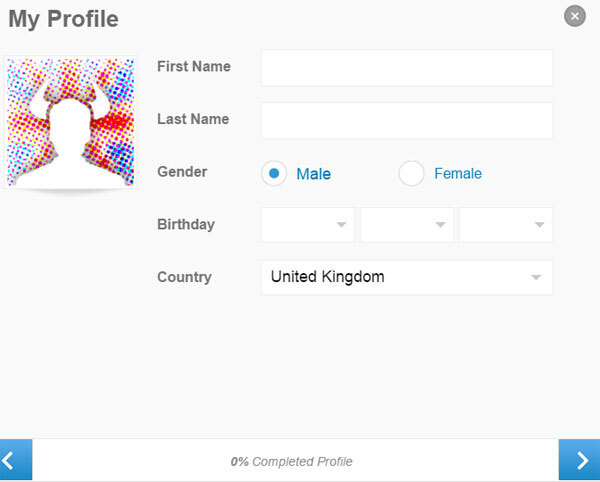 I was wondering if you could do an update on the next step after doing your initial filter which is how to analyse each person on their profile. Some of the terminology there can be difficult for a newbie! I may do that with next year’s update. I searched today using the parameters you recommend but only get 8 returns. Have you also been getting only a few returns lately or am I doing something wrong? Yes, these are pretty strict filters so usually I get 10 – 30 results or so. You can loosen them up a bit and just do more in-depth research when you select traders to copy. Ok awesome thanx. When you copy a trader and you allocate lets say $100 to use and the system asks at what point to stop copying the trader. I see it is set at $40. Do you leave that as is? I don’t remember reading anything in your blog about that but forgive me if its a repetition question. Yes, you can leave it at that default setting. But usually though, if you select conservative traders, it won’t go that low and probably you will manually un-copy trader before it reaches that setting, if trader performance goes down. And my strategy does not double money every month, far from it. You would have to be very aggressive, take huge risks/gamble to aim for 100% ROI every 30 days. I don’t think it will work at all. So with £100 can i make 30% profit within a month using your guidelines then? Have you read the actual post Jeff? 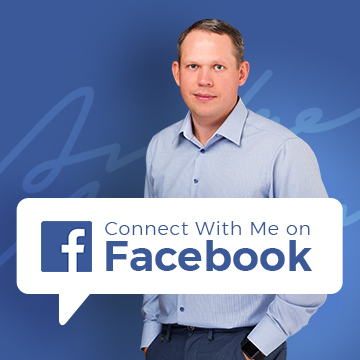 Hi Andrew I would definitely be interested in your thoughts on property investing etc. Keep up the good work!